FYI Films empowers youth affected by the juvenile justice system to improve their lives and become self-reliant. Through media literacy and the creative storytelling process, youth find their voice and gain valuable skills that are transferable to all areas of their lives. Founded in 2004 by Director Alex Munox, FYI Films has produced over 35 film workshops with youth in L.A. County, Guam and Hawaii. In these workshops, youth write, direct and perform their own short narrative films based on their past. By making films informed by their own immediate history, the process of filmmaking helps them to gain perspective on their lives. FYI Films regularly screens these films to policy makers, giving them insight into the lives of young people from economically disadvantaged communities, and thus helps inform them as they craft policy regarding juvenile offenders. FYI Films is a high-impact program and, through a three-year study, has proven to put a serious dent into recidivism rates in L.A. County. 2018 was a very successful year for FYI Films. Founder Alex Munoz gave a Key Note Address in Washington D.C. in early 2018 on the success of the organization’s program. He hosted screenings made by youth in Guam, Hawaii, and at the Cinewaves Screening in Carson, California. FYI Films conducted its 25th Film Workshop at Camp Afflerbaugh and was selected to participate in the Annenberg Alchemy Workshop in 2019. The non-profit also welcomed renowned Architect Julie Eizenberg to its Board of Directors, and teamed with well-known Actor Elvis Nolasco to bring FYI Films to New York. Alex Munoz and Board Member Sonja Perryman also met with U.S. House of Representative for California Maxine Waters. This year, 2019 already promises to be an equally expansive year for FYI Films with its first All-Women Workshop, the participation in the Annenberg Alchemy Workshop, and film screenings at UCLA. 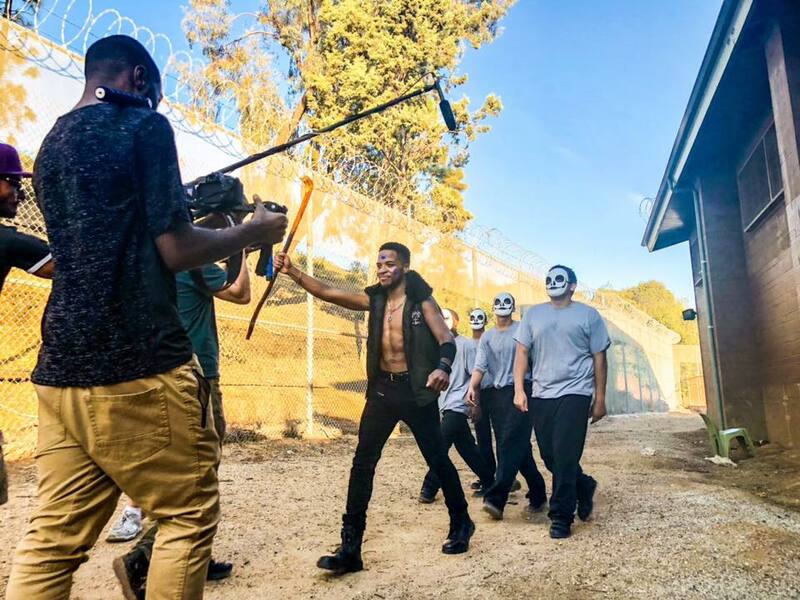 With its new Board of Directors in place, FYI Films has plans to expand its programming to engage more L.A. County Youth, and will screen “The Vanishing Boxer” for the California State Legislature in the fall. When sixteen-year-old Miguel Beltran discovers that his rival was deported, he falls into a state of depression. While at this low point he encounters Zu, a Shaman from the future who assures him that there is a place in time for all the vanished people. When Miguel subsequently vanishes, his milieu enters a frenzy of speculation.